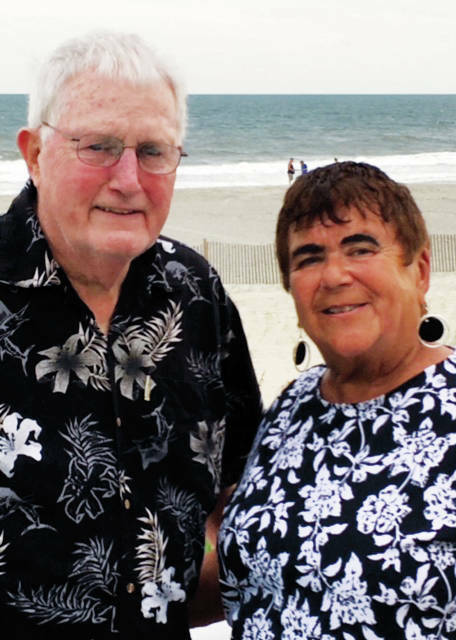 Gene and Charlotte (Hunter) Bay of Delaware will celebrate their 60th wedding anniverary on Feb. 1. The couple was married in 1958. The Bays have five children, Barry Bay of Powell, Bryant Bay of North Ridgeville, Beverly (Bay) Russell of Delaware, Brad Bay of Columbus, and Brenna (Bay) Morse of Delaware. They have eight grandchildren and three great grandchildren. Gene is retired from Columbus City Schools and works part time at Mill Creek Golf Course. Charlotte is retired from the Delaware County District Library. The Bays plan to celebrate their anniversary with their family on Feb. 10 at LaScala Restaurant in Columbus. The family asks that no gifts be sent.